We are: Lottie & Lola Ltd (company registration number 8688835). Our address is: 156 Normanshire Drive, Chingford London E4 9HD. We can be contacted at: support@divisoup.com. Please read the terms and conditions (“Terms and Conditions”) set out below carefully before ordering any distance learning courses and materials from this Website. By ordering from this Website you agree to be bound by these Terms and Conditions. 2.1. Any contract for the supply of Courses from this Website is between you and Lottie & Lola Ltd. You agree to take particular care when providing us with your details and warrant that these details are accurate and complete at the time of ordering. You also warrant that the credit or debit card/PayPal account details that you provide is your own credit or debit card/account and that you have sufficient funds to make the payment. 2.2. Courses purchased from this Website are intended for your use only and you warrant that any Courses purchased by you are not for resale and that you are acting as principal only and not as agent for another party when receiving the Course. 2.3. When using this Website you will be provided with a username and password. You must ensure that you keep these details secure and do not provide this information to a third party. 2.4. We will take all reasonable care, in so far as it is in our power to do so, to keep the details of your order and payment secure, but in the absence of negligence on our part we cannot be held liable for any loss you may suffer if a third party procures unauthorised access to any data you provide when accessing or ordering from the Website. 2.5. Once we receive your order we will send you a confirmatory email to confirm your purchase. Login details are usually sent to you by email. If, for whatever reason, your purchase is not accepted by us we will notify you of this in writing together with the reasons. 2.6. All prices listed on the Website are correct at the time of publication however we reserve the right to alter these in the future. We also reserve the right to alter the Courses available for sale on the Website and to discontinue any Course. 3.1. All prices listed on the Website are correct at the time of publication however we reserve the right to alter these in the future. 3.2. The total price for Courses ordered will be displayed on the Website when you place your order. Full payment must be made before access to Courses is provided unless you have registered to pay by instalments in which case access to the Course will be provided. 3.3. You can pay by PayPal or debit or credit card. 4.1. Once we receive your payment we will create an account for you and provide you with a unique login and password. 4.2. It is your responsibility to ensure that the Course is suitable for you and that you have met the prerequisites and recommendations outlined on the Website or other Course literature. 4.3. We hereby grant to you a non-exclusive, non-transferable, limited, personal, revocable, worldwide licence to access the Course(s) for which you have paid. 4.4. You shall not (i) license, sublicense, sell, resell, transfer, assign, distribute or otherwise commercially exploit or make available to any third party the Course(s), or the content of our Courses or our Website in any way; (ii) modify or make derivative works based upon the Course; (iii) embed the service as an “iframe” or “frame” from within another application; or (iv) reverse engineer or access the Website or the Course in order to (a) build a competitive product or service, (b) build a product using ideas, features, functions or graphics that are similar to those related to the Website or the Course, or (c) copy any ideas, features, functions or graphics of the service. Courses cannot be shared or used by more than one individual. 4.5. When accessing Courses and using our Website you shall not: (i) send or store material containing software viruses, worms, Trojan horses or other harmful computer code, files, scripts, agents or programs; (ii) interfere with or disrupt the integrity or performance of the service or the data contained therein, or our Website, servers or networks; (iii) attempt to gain unauthorised access to the Website or the Course or its related systems or networks; or (iv) take any action that imposes an unreasonably or disproportionately large load on our system. 5.1. Where we have requested information from you to provide a Course you agree to provide us with accurate and complete information. 6.1. As courses are delivered in electronic format with immediate access and cannot be ‘returned’, cancellations are not accepted. We may in special circumstances accept a cancellation and issue a refund for a course but this is entirely at our discretion. 7.1. We shall be entitled to cancel or suspend your account with us in the event that we reasonably consider or suspect that you have acted in breach of these Terms and Conditions. Any failure to pay our fees on time shall constitute a breach of these Terms and Conditions entitling us to terminate or suspend your access to the Course. 8.1. All operational queries concerning the Course and access to the Course should be addressed to support@divisoup.com. We will endeavour to respond to all requests within 2 business days. 8.2. The e-learning site can be accessed from any internet enabled desktop PC, running Windows XP and above, or Mac running OSX and above. High speed broadband is recommended. 9.1. All IPR in the Courses (including any such rights in our Website) remain the property of Lottie & Lola Ltd and are either owned by or licensed to us and nothing in these Terms and Conditions shall transfer any ownership rights to you. You must not modify, copy, reproduce, upload, post, transmit or distribute by any means or in any manner whatsoever, any material or information or download from our Website except where expressly invited to do so or indicated on our Website. 9.2. Elegant Themes, Divi and Extra and the associated logos and marks are all trademarks of Elegant Themes. Use by Lottie & Lola Ltd of these marks does not imply any endorsement of our training courses by Elegant Themes. There may be a number of links on our Website to third party websites which we believe may be of interest to you. We do not represent the quality of the products or services provided by such third parties nor do we have any control over the content or availability of such sites. We cannot accept any responsibility for the content of third party websites or the services or goods that they may provide to you. 12.2. We disclaim any and all liability to you for the Courses to the fullest extent permissible under applicable law. This does not affect your statutory rights as a consumer. If we are found liable for any loss or damage to you such liability is limited to the amount you have paid for the relevant Course. We cannot accept any liability for any loss, damage or expense, including any direct or indirect loss such as loss of profits, to you howsoever arising. This limitation of liability does not apply to personal injury or death arising as a direct result of our negligence. 12.3. The Courses are provided on an “as is” basis and no warranty or guarantee is offered in relation to the accuracy of the information provided. We cannot guarantee or warrant to you that any Course is suitable for you or that you will successfully pass an examination following participation on a Course. The use of the Course and the materials provided is entirely at your own risk and we cannot be held liable for any loss, damage or injury suffered or incurred by you as a result. 12.4. We do not accept any liability for any delays, failures, errors or omissions or loss of transmitted information, viruses or other contamination or destructive properties transmitted to you or your computer system via our Website. 12.5. We shall not be held liable for any failure or delay in delivering the Courses where such failure arises as a result of any act or omission which is outside our reasonable control such as an act of God or those of third parties. 12.6. We do not accept liability for any indirect loss, consequential loss, loss of data, loss of income or profit, loss of damage to property and/or loss from claims of third parties arising out of the use of the Website or for any products or services purchased from us. 12.7. We have taken all reasonable steps to prevent internet fraud and ensure any data collected from you is stored as securely and safely as possible. However, we cannot be held liable in the extremely unlikely event of a breach in our secure computer servers or those of third parties. 13.1. We may subcontract any part or parts of the Courses that we provide to you from time to time and we may assign or novate any part or parts of our rights under these Terms and Conditions without your consent or any requirement to notify you. 13.2. We may alter or vary the Terms and Conditions at any time without notice to you. 13.4. If any term or condition of our Agreement shall be deemed invalid, illegal or unenforceable, the parties hereby agree that such term or condition shall be deemed to be deleted and the remainder of the Agreement shall continue in force without such term or condition. 13.5. These Terms and Conditions and our Agreement shall be governed by and construed in accordance with the laws of England and Wales. The parties hereto submit to the exclusive jurisdiction of the courts of England and Wales. 13.6. No delay or failure on our part to enforce our rights or remedies under the Agreement shall constitute a waiver on our part of such rights or remedies unless such waiver is confirmed in writing. This Membership Agreement (the Agreement) is effective January 01, 2017 by and between Lottie & Lola Ltd trading as Divi Academy, hereinafter referred to as The Community, accessed via https://divi.academy with a business address of 156 Normanshire Drive, Chingford, London E4 9HD, United Kingdom, and all current and future members of The Club hereinafter referred to as “Member(s)”. By accessing, browsing or using the https://divi.academy website or by selecting I Accept during registration, you represent that you have read, understand and agree to be bound by the terms and conditions of this Membership Agreement hereinafter referred to as the Agreement. The Community is a social network facilitating the exchange of personal information between people. This socialisation shall include reading the profile pages of other members and possibly even contacting them. The Community provides to its members benefits such as but not exclusive to: layouts, tutorials, cheatsheets, child themes, articles, live training and webinars. The Community works like an online community of internet users. b) maintaining the confidentiality of the Members’ username and password. The Services are offered subject to the Community’s acceptance of Members order. The Community reserves the right to refuse service to any order, person or entity, without the obligation to state a reason for doing so. No order is deemed accepted by The Community until payment has been processed. The Community may at any time change or discontinue any aspect or feature of the Site or Service, subject to Community fulfilling its previous responsibilities to Member based on acceptance of your payment. The Content includes messages and other materials posted to forums, groups, or other locations on the Site by the Members of the Community. Members of the Community are deemed to grant the Community the nonexclusive right to post, display, copy, and modify the Content in connection with the operation of the Site and the Community’s business. Further, the Member is deemed to grant the Community the nonexclusive right to post, display, copy, and sell the Content within the limitations set by the Member during the online publishing process. Members are also deemed to authorise the Community to disclose his/her personal data when the Member includes such personal data in the content. Members agree before using any resources provided by The Community, to take a full backup of the Site the resource is to be used on and test this backup to ensure it is fully working and functional and can be used for restoration purposes. Members indemnify The Community (and its officers, directors, agents, subsidiaries, joint ventures and employees) from claims, demands and damages (actual and consequential) of every kind and nature, known and unknown, arising out of or in any way connected with the resources and use thereof. The Content may be used by Members for personal or client projects without limitation. 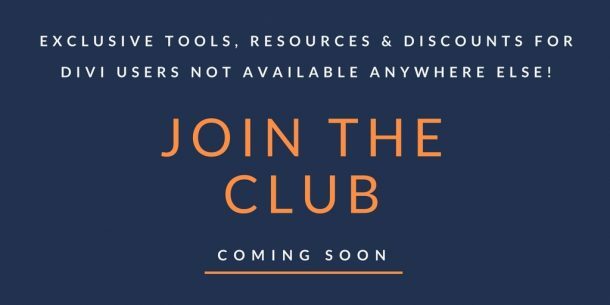 Members may not redistribute, reproduce, share, sell, offer for free or in any way make available any content supplied within the Membership by The Community to any other person or entity. Breach of clause will result in immediate termination of the Members’ subscription. The Membership may contain links to third party websites and resources. Member acknowledges and agrees that Community are not responsible or liable for the availability, accuracy, content, or policies of third party websites or resources. Links to such websites or resources do not imply any endorsement by or affiliation with The Community. Member acknowledges sole responsibility for and assumes all risk arising from the use of any such websites or resources. The Community shall not sell or rent Members personal information to third parties without Members explicit consent. Community shall store and process Members information on computers that are protected by physical as well as technological security devices. However, the Community shall be permitted to access and modify Members information. Member shall indemnify and hold the Community (and its officers, directors, agents, subsidiaries, joint ventures and employees) harmless from any claim or demand, including reasonable legal fees, made by any third party due to or arising out of Members breach of this Agreement, or Members violation of any law or the rights of a third party. Members agree and understand that access to the Membership may at times be influenced and affected by third parties that we use to provide the Membership (web hosting, plugins, etc.). Members agree and understand that no breach of contract action may be initiated against The Community when there are reasonable delays in the access of the Membership. The Community reserves the right to terminate the Membership, and or access to certain features of the Membership, with or without prior notice to Members. The Community will make reasonable efforts to provide notice but is not required to do so under the terms of this agreement. The monthly subscription comes with a free trial period, if Member cancels subscription during this trial period no charges will be made. When the trial period expires the registered credit card will be charged once per month until such time that Member cancels subscription. Member may cancel subscription at any time, however no refunds will be made for any fees already paid. Once Member cancels, Member will no longer have access to the Membership, including all content, support, community and resources past present or future. This Agreement shall be construed under and governed in accordance with the laws of England & Wales.